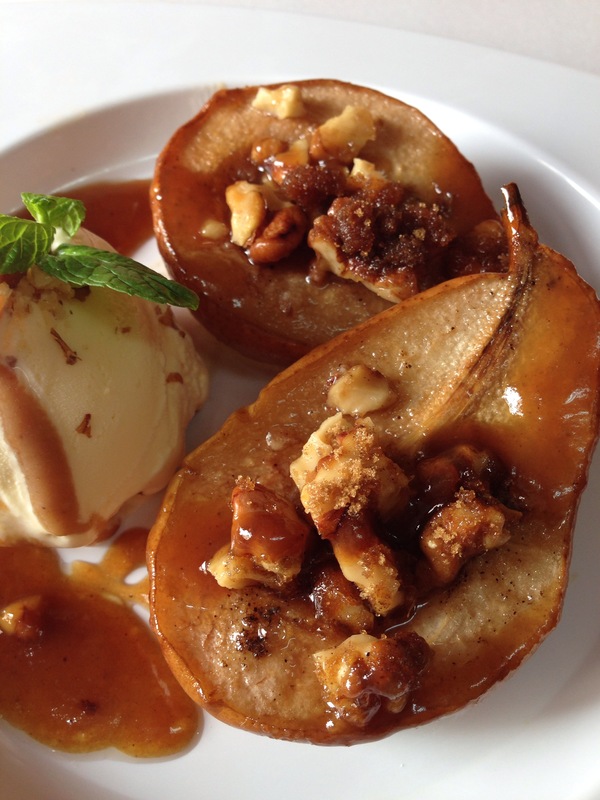 Honey baked pears with cinnamon n walnut served Vanilla ice cream and caramel sauce. Preheat oven to 180 deg C. Put butter into baking dish and bake until just melted, 2 to 3 minutes. Butter should coat the bottom of pan completely, then arrange pears, cut sides up in a single layer. Sprinkle cinnamon powder, crushed black pepper. Place tiny cube of butter, 1tsp of brown sugar and chopped walnuts in the centre of pear from where the core is removed. Drizzle Honey on top of pears. Transfer pears to serving plates. Take same baking pan which will have leftover butter from roasting and place it on low heat add 2 tbsp of brown sugar when it melts add 3 tbsp of heavy cream and stir well.. Caramel sauce is ready. 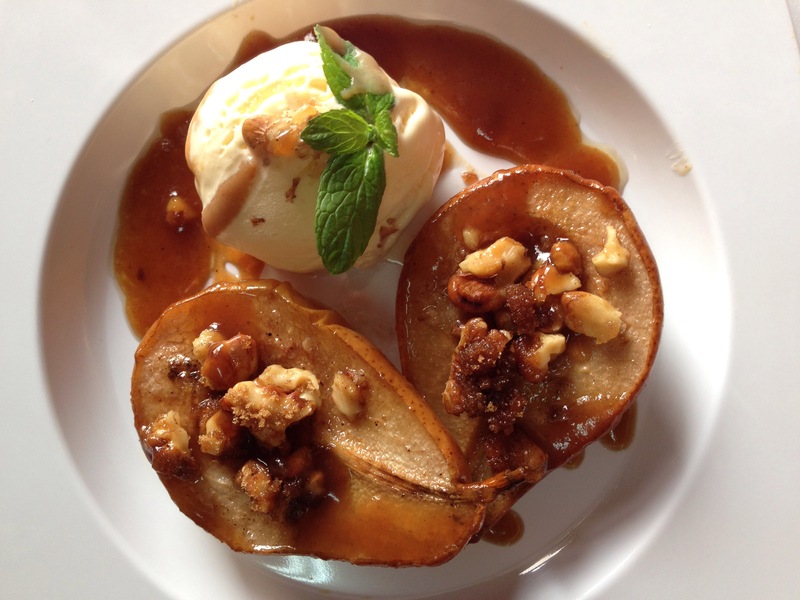 For plating place the pears on the plate with scoop of ice cream and drizzle caramel sauce around.